If you love cycling in the city, you’ve probably discovered that your bike can feel big and bulky when you make a pit stop. Whether you’re a commuter without a ton of bike storage space, or you want something that will fit into your small sedan, a fold and stow bike is an option you should consider. 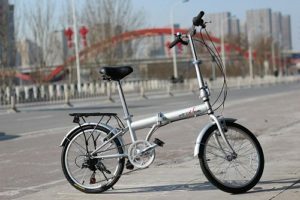 Now, you may expect folding bikes to lack in overall quality because they aren’t a full-size bike. That simply isn’t the case! 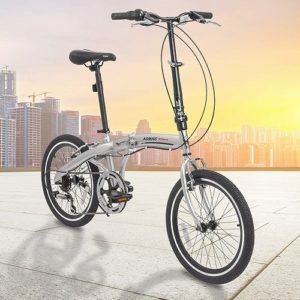 Nowadays there are a wide variety of folding bikes available, and many feature the qualities you’d look for in a regular bike. Just because you lack storage space doesn’t mean you need to give up the amenities you need. Read on to learn more about some important details to consider when purchasing a folding bike. Let’s start with the most critical factor: portability. 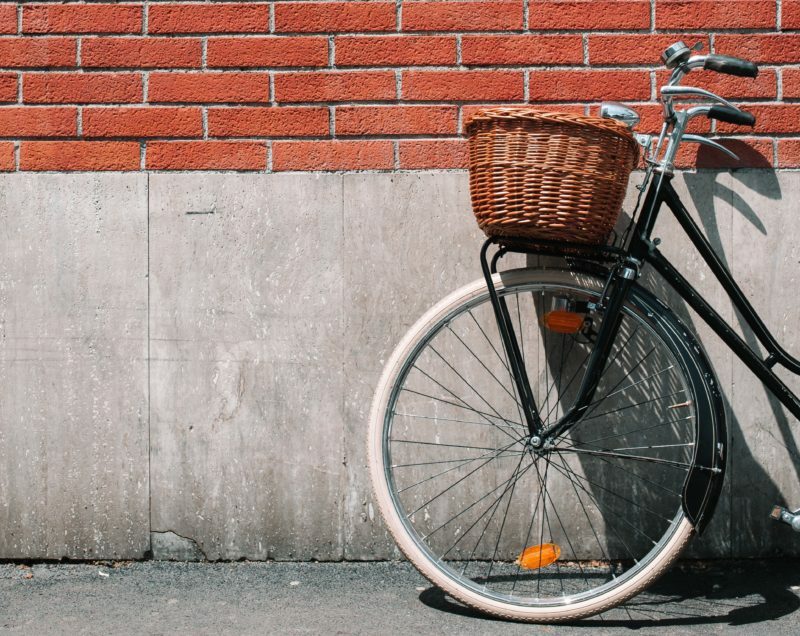 If you want a bike that you can use frequently, the bike you choose must be easily folded and stowed into a small enough size to fit in your car. It should be foldable without tools and without a complicated instruction manual. You probably don’t want scratched knuckles and a lot of yelling every time you move your bike, either. You want a bike that will endure frequent use, so it must be sturdy. Sturdy enough that it will last a long time, and endure heavy road use and frequent folding and unfolding. At the same time, portable-friendly means it can’t weigh a ton. You want to save your energy for the biking, not lugging a heavy weight. For the sophisticated biker, gears and multi-speed are a must. That way, you can navigate hills, manage your speed, and conserve the energy you expend. This bike is made for travel at only 33 pounds. It folds easily and is small enough to fit just about anywhere for transportation. Riders up to 6 feet tall can use it comfortably. It features a gear system so that you can tackle the hills and zip around with ease. Getting on and off the bike is easy with a stand over the frame and a rigid fork. Reviewers mention the seat is a bit hard, but it can be replaced with a softer option. 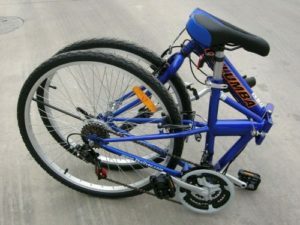 They also note that the gears and brakes are easy to use, and the bike feels secure and stable. This fold and go option from Columba features a Shimano 18 speed shifter and derailleur for great speed changes and comfortable navigation on any terrain. It is easy to both fold and carry. Simply rest the seat on your shoulder and grab the frame firmly to keep balance. It comes with Kenda 26 tires, so it will fit tall cyclists in style. Reviewers mention that this bike is easy to fold, and the handlebars can be taken off without tools. Another reviewer mentioned that they could fit two of these bikes in the trunk of their car with ease. When you need a slightly smaller bike that still has important features, this one may be just the right option. The 20-inch size makes this bike a good match for both commuting and exercising. Easy to assemble and easy to ride too, it’s basic Shimano 6 speed shifter and derailleur make this bike easy to operate, and the slightly smaller size makes it easy to transport. At just 32 pounds, this bike features an adjustable seat and handlebars and folds down in four simple steps. Reviewers mention that the bike comes fully assembled out of the box, and all you need to do is put some air in the tires. They also mention that folding the bike is easy, and it fits in the car trunk well. If you are a dual threat biker, with rides in the city and on trail, this bike may be for you. It features front and rear shock absorbers to withstand any tough terrain. 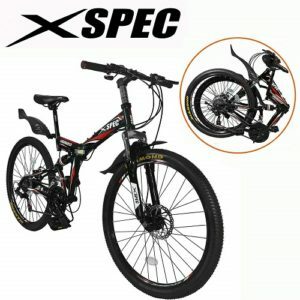 In addition, it is built to last with a strong frame and alloy double wall rims. Disk brakes give you long lasting and fast stopping power for the big speeds you build on your next great ride. It also folds flat quickly to get you on your way. Available in black, white, and yellow, this foldable bike is ideal for rider heights between 5 feet 3 inches and 6 feet. A few reviewers mention that putting the bike together is difficult, but the final product is worth it. This bike stands up to any gravel, pavement, or grassy terrain. Built for riders 5 feet 1 inch to 5 feet 7 inches in height, this bike is great for a lot of fun on a budget. It is constructed with ultra-light materials and easily stowed. You get a well-built frame, durable tires, and a Shimano 6 speed drivetrain to hit the road and ride. You’ll have a stable and safe journey with this bike. 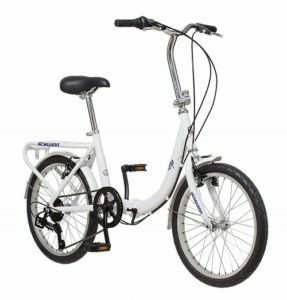 Available in black, white, silver, and green-black, this foldable bike features an adjustable seat and a power V-brake for easy stopping. Reviewers mention that this bike comes about 90 percent assembled and you get a lot of value for the price.